When people talk about home repairs, it’s always about the cost and the value. Everyone seems to forget about the inconvenience of any type of repair. No matter how polite and efficient a work crew may be, it’s a burden any time you have someone in your house. When it comes to installing windows, some homeowners try to get around this problem by installing their own windows. But between the lack of equipment and the lack of experience, doing so can put yourself at risk for a broken window, an injury, or worse. The good news is that professional window installation isn’t as grueling of a process as you might think. How long does it take to install windows? Well, that depends. How Long Does it Take to Install Windows? The short answer is that a professional crew can install about 10-12 windows per day on average. That means that if your home has around 20 windows, your whole house could be finished in just two working days. Of course, that’s a general number. There are a lot of factors that affect the installation process. You should also keep in mind that this doesn’t mean you pick out your windows one day and they’re in place two days later. Depending on your unique needs, it can take several weeks to order the windows you need. One factor is the type of windows you choose. Some windows take more time to install than others. If you have windows with custom sizes or shapes, that will add time as well. The installation crew plays a large role in the timeline as well. Look for an installer who is experienced and will bring all the workers they need to complete the job. Another common factor that affects your window installation is how accessible the windows are. Windows on second and third floors need extra equipment to access and install compared to first-floor windows. Your home’s layout and your furniture arrangements could complicate the installation as well. Sometimes the material you’re working with can make your installation take longer. For example, certain types of windows are easier or harder to work with, and the same goes for the material of your walls. As much as every homeowner hates to hear it, there’s also always a risk that the installation crew will uncover other issues. For instance, if your old windows weren’t sealed well, you may have developed mold or rot inside the walls. If the crew finds these issues when they remove your windows, it’s important to deal with them right away. For the most part, your installers will be able to give you a rough timeline when you get your window installation estimate. Of course, this doesn’t include those issues that could arise in the process, but it will give you a “best case scenario” idea. Considering how much it improves your home’s look, efficiency, and value, getting new windows installed is a quick and easy process. 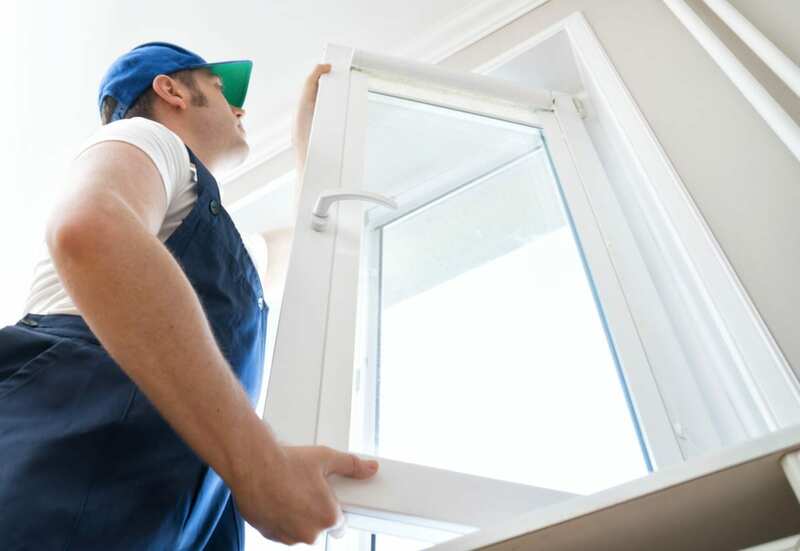 If you’re wondering how long does it take to install windows, however, the answer depends on whether you decide to DIY or hire the right contractor. If you’re not ready to risk it, call our Milwaukee window installation experts. We can help guide you through the installation process so that it’s as quick and easy as possible. By Community Roofer|2018-09-02T12:10:11+00:00September 19th, 2018|Categories: Windows and Doors|Comments Off on How Long Does it Take to Install Windows on Your Home?